Citizens Commission on Human Rights is a non-profit, non-political, non-religious mental health watchdog. Its mission is to eradicate abuses committed under the guise of mental health and enact patient and consumer protections. 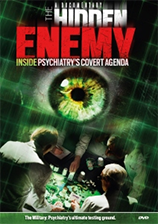 As such, CCHR receives reports from individuals who have been abused after they sought help from psychiatrists and/or psychologists and were falsely diagnosed and forced to undergo unwanted and harmful psychiatric treatments, such as psychiatric drugs which are documented to cause serious side effects, involuntary commitment, or electroshock. CCHR is often able to assist people with filing complaints or work with people’s attorneys to further investigate the person’s case. If you or anyone you know has been harmed or damaged by psychiatric or mental health “treatment,” please fill out the form below with full particulars and any documentary evidence. All information received is kept in strict confidence. What was happening with yourself (or the person involved) immediately prior to, or at, the time the incident/abuse started? Were you (or the person involved) seen by a mental health practitioner, school psychologist, or psychiatrist? When? What was the result? Were you (or the person involved) threatened or otherwise coerced to accept any psychiatric or psychological treatments? Any other information that you would like to tell us, or feel is important to the case? Writing letters to congress on these abuses.